The 2016 Rio Olympics have come and gone, but like any other sporting event or tournament it has left us with memories. The good, and the not-so-good. There were surprise marriage proposals beamed around the world, an athlete who had a bad case of diarrhoea while he ran his race, a medal winning swimmer who quickly went from hero to zero after he was found to have told a disgraceful lie, and another long distance runner who burst into limelight after making a gesture in protest of the treatment meted out to his ethnic group back home. Records were set. Records were broken. Individuals and teams defied the odds to excel beyond their limitations. For an event that kicked off amidst controversies and plenty of difficulties, the 2016 Summer Olympics sure wasn’t shy of happenings. Happenings, heroes and villains. But, villains are hardly worth dedicating time and space to, so I’ll be highlighting my top five heroes of the just concluded Summer Games in Rio. The Nigerian Under-23 Football Team: the story of the Under-23 football team is nothing short of a miracle. A miracle borne out of sheer perseverance and determination. If ever there were any odds against any team to win anything at all, it was overwhelmingly against the Dream Team VI. And for good reason. The team were discouraged from the get-go, they had very little funding, and were stranded in Atlanta for hours before arriving in Rio just a few hours before their first game. It was the first embarrassing scenario of the games. A footballing nation like Nigeria, touted as giants of Africa, with strength in numbers and material resources could not get their football team into Brazil without any hitches. The boys became a charity case for Delta Airlines and Japanese billionaire, Katsuya Takasu. Unpaid hotel bills and allowances almost caused a scandal even while the team were in Brazil, but against the expectations of millions around the world the boys delivered in style. Saving the blushes of the teeming population in Nigeria with a bronze medal just when it appeared all hope for a medal was lost. Without a doubt, they are my greatest heroes of the Olympic games. Chierika Ukogu: The Stanford University graduate who put her dreams of going to medical school on hold and sponsored herself to the Olympics just to represent a nation she didn’t even grow up in deserves to be applauded by every Nigerian for her patriotism. The professional rower became the first Nigerian athlete to compete for the rowing event at the Olympic games, and ended up winning a silver medal. To some, Chierika may come across as a privileged kid who just wanted to have fun, but it would be myopic to see things that way. The young lady had to initiate a Gofundme campaign through which she ended up raising $12,000 in order to fulfill her dream of being the first Nigerian to row at the Olympic games. If there’s a synonym for self-motivation, then it is Chierika. Hence, my reason for choosing the 23-year old as my second hero (or more appropriately, heroine) of Rio. Usain Bolt and Micheal Phelps: I decided to mention these two greats together because it would have been almost criminal to mention one without the other. While Usain Bolt, nicknamed “Lightning Bolt” may be regarded as the greatest Olympian ever in some quarters given his hundred percent record at the Games resulting in nine gold medals in three consecutive Olympic Games, coupled with the fact that the track events, especially the 100m, 200m and relay races are generally held on a higher pedestal compared to other sports, the achievements of American born Micheal Phelps cannot be underrated. The 31-year old swimmer is unarguably the most decorated Olympian of all time. He holds the record of winning the most gold medals at the Games with a whopping 23 gold medals under his belt. I am not about to get into the debate of who the greatest is between these two, as they both perfectly deserve the crown having staked further claim to it in Rio, and it will take a while before anyone else comes close to challenging the enviable record they have set. Mo Farah: the Mogadishu, Somali born British’s journey to clinching the gold medals in the 5,000m amd 10,000m distance races once again is a testament to what a never-say-die-spirit is capable achieving. His revelation of how he had to stay away from his family for a period of six months in order to be physically and mentally ready for his race at the Olympics reminds us that the old time values of sacrifice and hard work still remain the keys to success. His unbelievable bounce-back after being accidentally clipped on the back of the heel and trampled upon during the 10,000m men’s final is a literal lesson in getting up and going on to achieve success after a set back. Mo Farah ended up winning that race in spite of what happened to him. If that isn’t enough inspiration to trudge on irrespective of our challenges, then I don’t know what is. Nikki Hamblin and Abbey D’Agostino: The two ladies from New Zealand and the United States respectively displayed a rare spirit of kindness and selflessness by helping each other up when they fell at different times during their qualifying heat for the 5,000m race even though they were competitors in the same race. It was a moment that had many surprised and emotional, and ended up winning the two ladies the Fair Play Award from the Fair Play Committee at the Games. The Olympic spirit which the athletes embodied should not just be applauded, but emulated. Kindness and selflessness trumps an ambitious and competitive spirit all the time. Sometimes, it’s not just about a guerilla “knock ’em out” attitude, but one which demonstrates that we are human and care about others even if we have to sacrifice something we really want. Of course, the heroes are not limited to the people I have mentioned above. From Simone Biles, the teenager who won four Olympic gold medals in gymnastics; setting a new American record for the most gold medals in women’s gymnastics at a single game in the process to 21-year old Joseph Schooling, who beat Micheal Phelps (in the 100m butterfly final) his Olympic hero to upset the odds eight years after meeting him, and thereby became the first Singaporean to win gold at the Olympics, to Wayde Van Niekerk, the South African who won gold in the 400m in style and broke a 17-year-old record from lane eight while at it, there were several other athletes from all over the world who shone brightly at the Rio Olympics. In all, like most epoch-making events, in spite of the many challenges, the Olympic Games threw up plenty to think about and aspire to. My inspiration from Dream Team VI was Mikel Obi who discarded critics and proved the fine player he is. 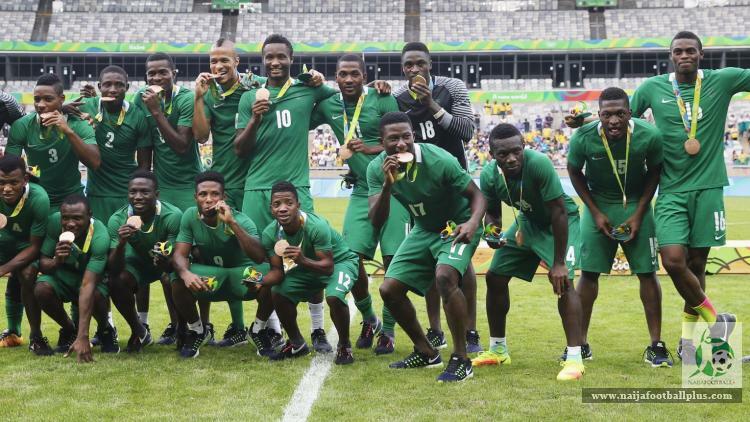 What bugged me most are the number of athletes of Nigerian origin that represented other countries. It pains me that we losing our best and the stronger nations are taking advantage thus making us weaker. Mo Farah should be Somalian pride but he has switched nationalities. It’s unfortunate that Nigeria doesn’t see the Olympics as an avenue to display national power and pride. If we did, we wouldn’t joke with preparations and would field our strongest team in the best state of mind. That is what the likes of US, China, Russia, Britain do and you can see the results. The same can be said of even Kenya, South Africa and Ethiopia. Don’t be surprised that the above mentioned countries are already preparing for Tokyo 2020. Sadly that can’t be said of us. I agree! Mikel reallu showed a different side of him in Rio. Regarding preparations for Tokyo 2020, you and I know it isn’t likely that anything would be done anytime soon. Not with the current sport minister still occupying that seat. Cool list. Best selection of top five. I like your number one and two because of the perseverance behind their achievement. Did Chierika actually win a silver medal? I thought we won only one medal. I think the Brazil football Male team also deserve an applaude for eventually winning gold in that competition. I have been reliably informed that she didn’t win a medal. Thanks for reading and commenting too. Nice one. There are plenty heroes, let me add Rafaela Silva the ghetto born black lady who won Brazil’s first gold of the games. Nick Skelton, won gold after recovering from broken neck and hip replacement surgery. Aruna Quadri, the first African ever to reac quarter finals in olympic table tennis. Make I stop here. Thanks a lot. Yes, I am aware that there are several other heroes, but time and space would not allow me expatiate on them all.